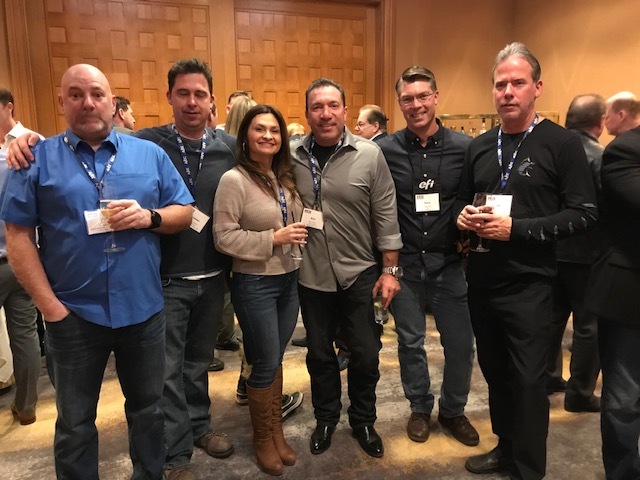 Whistler Mountain Resort in Whistler, British Columbia, welcomed 45 AICC members, families and guests for the 33rd annual AICC West Coast (formerly Region One) Ski Meeting, January 30- February 2.. The annual event, held this year at the Four Seasons Whistler Resort, was started in 1983 by four AICC Region One members: Becky Schaller of JT Financial; Bob Thacker of Thacker Container; David Howard of Service Container, and Anthony Salcido of Montebello Container Corp. What began as a friends’ ski weekend at Mammoth Mountain, California, has remained a yearly event for all AICC members. The weekend was hosted by Mark Riley of Smurfit Kappa Phoenix in Chandler, Arizona. Mark and his wife Gina have been spearheading the event for AICC for more than 10 years. Designed as a networking event, the annual ski “meeting” has no meetings, but rather relies on social and winter sports activities to bring members together. This year’s event was sponsored by: AG Stacker; Arden Software; Bio-Pappel; Bobst; CorruKraft; EFI; Haire Group; Hycorr; Kiwiplan; Peoples Capital & Leasing; and Rapid Bond. The success of AICC’s West Coast Ski Meeting inspired its East Coast counterpart 10 years ago. This year’s 2019 East Coast Ski Meeting will be held February 22-24 at Stratton Mountain Resort in South Londonderry, Vermont For more information about AICC’s annual Ski Meetings, Summits or National Meetings, contact Laura Mihalick at 703.535.1388, or lmihalick@aiccbox.org. 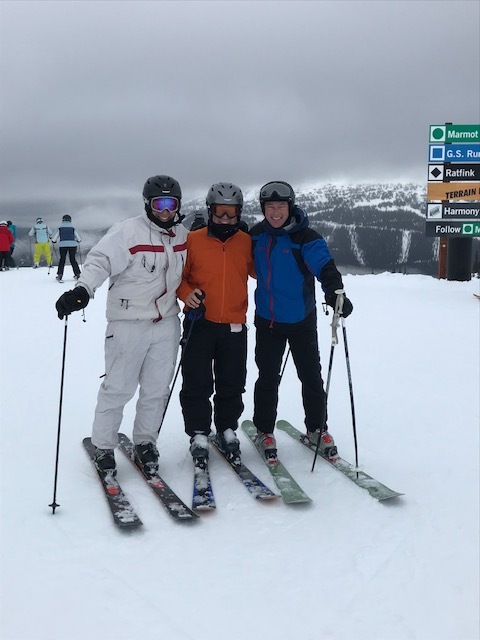 Top of the Mountain (left to right): Paul Shine, former owner of AIM Corrugated in Buffalo; AICC President Steve Young and Rick Eastwood, CEO of The Central Group, Mississauga, Ont., pose for a photo on Blackcomb Mountain. 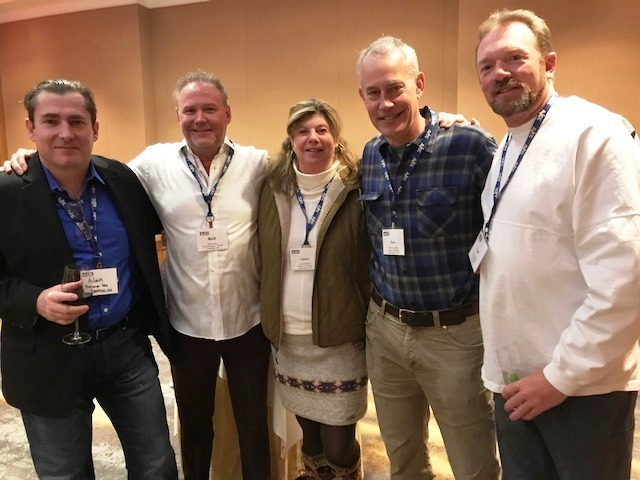 At the Welcome Reception, left to right: Alain Ciclet, Baumer hhs; Mark Riley, Smurfit Kappa Phoenix; Laura Nelson, Nelson Container; Tom Nelson, Nelson Container; and Tyler Howland, Smurfit Kappa Phoenix. Enjoying the Evening, left to right: Jim Silianoff, Arden Software; Chris Widera, CalBox; Pauline Vivian, Corru-Kraft; Ron Vivian, Corru-Kraft; Dave Hall, EFI; and Jim Wilczek, Orora North America. Rick Eastwood (left), The Central Group, and Paul Shine take a break on the gondola. Shine, former owner of AIM Corrugated, attended the West Coast Ski Meeting representing Bay Cities in Pico Rivera, Calif.